The train station Hardbrücke suffers from small platforms which create dangerous situations when trains arrive with high speeds at the station during rush hours. The wide availability of sensor data and the new technological advances in automated movement tracking and analysis allow us to prevent the formation of human crowds in dangerous areas. An app tracks people via Bluetooth beacons, and gets supplemented by human movement data from various sources: a) video tracking and AI analysis, b) counter at staircases, c) real-time train tracking. We integrate this data and use advanced algorithms for smart traffic shaping. Crowded places are highlighted using LED strips mounted on the platforms. Moving to less crowded areas is encouraged with a discount on the train ticket. This discount is automatically integrated into the SBB and Siemens pay-as-you-ride ticketing system. 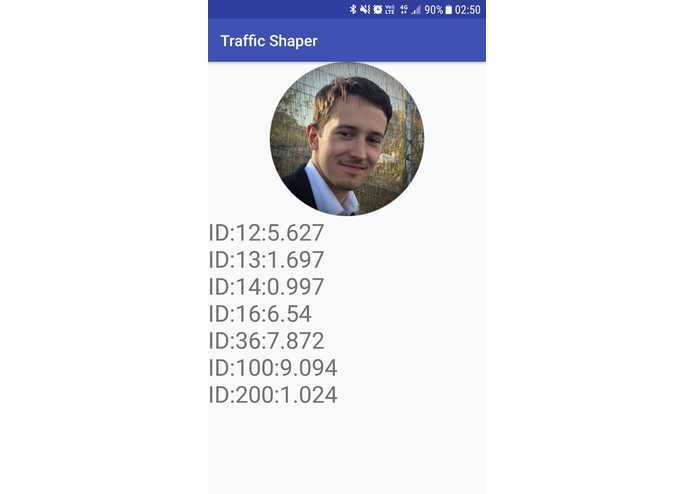 An Android app constantly reads Bluetooth beacons and transfers the data to a central server running a Flask / Python application. An HTML/JS frontend visualizes real-time movement of people and trains and the color status of the LEDs (not yet installed at Hardbrücke) which guide people away from crowded spots using green, orange, and red lights. 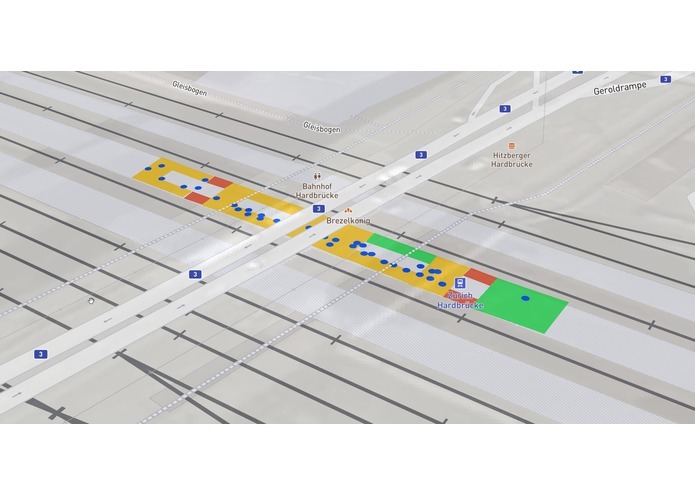 The Python application additionally features a real-time relaying of movement data and a prototypical expert system to estimate the dangerousness of a platform area. Integration of unstructured data sets. Integrating a variety of technologies. Team work. MapBox JS SDK. The necessity for smart planning in public transport. Fusing sensors from different sectors (mobility and buildings). Installation of real LED strips at various train stations. Integration of our app into the SBB and Siemens apps for automated ticketing (where our approach can give discounts to people walking to non-crowded spots).